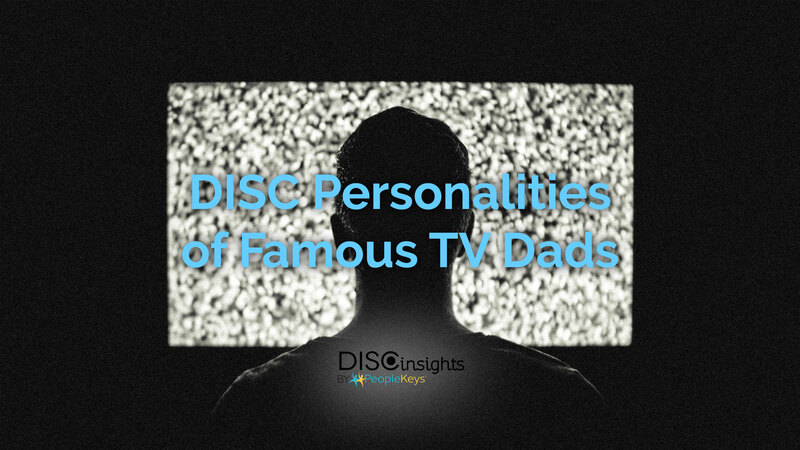 In honor of dad’s everywhere, here’s a look at the DISC personality styles of a few memorable TV dads. When it comes to D personalities, the word “dominant” immediately comes to mind. People with a D style personality like to be in charge and are strong-willed, driven, and confident. 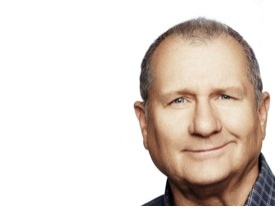 Jay Pritchett is a perfect example of a D style parent. As the head of the family, he likes to call the shots and expects his authority to be automatically respected. He’s smart, driven, and competitive in business, which is why he’s a success. But it’s the exact qualities that make him a success in business that cause his kids to be frustrated with him. Empathy isn’t his strong suit, and even though he clearly loves his family, he sometimes comes across as impatient and indifferent. He likes getting his way and can get a little sulky when he doesn’t get to do what he wants. Jay respects people that are competent and action-oriented, which is why he often appears annoyed by his more happy-go-lucky son-in-law Phil. He is often critical of his family but only out of a genuine desire to see them all be successful. Consider his stepson Manny, for example. He’s very open and direct when he doesn’t agree with what Manny is doing, everything from Manny’s fashion sense to his social choices are often the source of Jay’s disapproval. But Jay is firmly convinced that his way is the right way, and everything he does is in an effort to help Manny better himself. Jay is a man that definitely expects his family to live up to the high standards of achievement he sets and can be a bit of a bully when he thinks they’re falling short. Jay is a good example of the kind of dad that likes to lead by example. Like most D style dads, he commands respect, admiration, and just a little bit of fear. Other famous D Style TV Dads: Red Foreman, That 70’s Show. Archie Bunker, All in the Family. Frank Costanza, Seinfeld. Martin Crane, Frasier. People with a type I personality are enthusiastic, warm, optimistic, and magnetic. They are always comfortable in crowds and love to be the center of attention. They are energetic, funny, great at small talk, and fantastic storytellers. A TV dad that exemplifies this personality style is Home Improvement’s Tim Taylor. 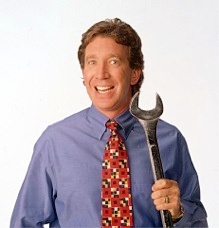 On Home Improvement, Tim Taylor is the star of a “This Old House”-style television show. He loves being on camera (what I personality wouldn’t?) and is funny and likable onscreen. Unfortunately, like many I personalities, he’s not great with attention to detail. On his show, his impulsiveness, over-confidence, and tendency to ignore instructions often gets him involved in spectacular accidents—so much so that he knows everyone on staff at the local hospital by name! As a father, Tim prefers to be more of a friend or co-conspirator with his kids and leaves the discipline to his wife. His goofy personality and easygoing demeanor make it easy for him to be able to enjoy the rambunctiousness of his kids. Whether it’s at home or at work, Tim’s not big on setting limits. There’s really no such thing as too much for Tim. When he does projects on his fictional TV show, it’s all about being bigger, faster, and more dramatic (“More power!” he often yells). Though Tim Taylor is occasionally a bit chauvinistic and childish in his humor, it’s all meant good-naturedly. He is the heart of his family and definitely would consider himself the “fun” parent. S personalities are steady, reliable, and patient. They have a hard time coming to terms with change and are sometimes overly-accommodating in an effort to avoid confrontation. A few more keywords: Stable. Consistent. Supportive. Loyal. Sounds like a tailor-made description of Arrested Development’s Michael Bluth, doesn’t it? 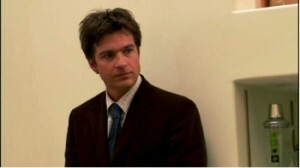 The opening narration of Arrested Development describes the show as “…the story of a wealthy family who lost everything, and the one son who had no choice but to keep them together.” When his father is arrested for fraud, theft, and “light treason,” Michael steps forward to become the default center of the family—no small task, given the irresponsible, selfish, and narcissistic personalities of the other Bluths. But Michael doesn’t choose to take over in his father’s absence for any sort of personal gain. He does it because of his personal motto: “Family First.” Like a true S, he’s ethical, kind, and responsible. He becomes the head of the family business not because he demands attention or craves power but rather because he is the best at mediating problems and negotiating peace between his family members. As exasperating and frustrating as his siblings and parents can be, he has deep reserves of patience and love. He is the glue that holds the family together. As a father to his son George Michael, he emphasizes the importance of family, tradition, loyalty, and honesty. He has a very close (though slightly co-dependent) relationship with his son and is always there for George Michael to lean on and confide in. Smart and self-sacrificing, he would do anything for his son and typically prioritizes George Michael’s needs over his own. People with a C personality like to get things right. They are careful, methodical, and cautious, and everything they do is a means of satisfying their inner perfectionist. Doing sub-standard work is devastating to a C. They like to be considered experts and take pride in showing off quality work. This is definitely the case with King of the Hill’s Hank Hill. 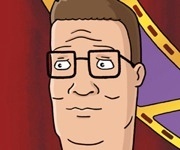 There’s no one in Arlen, Texas who knows more about propane and propane accessories than Hank Hill. He’s researched every aspect of his business and knows the technical specifications of every single grill he sells at Strickland Propane. He’s not a charismatic salesman, but there’s no one more honest, accurate, and knowledgeable than Hank. If you were going to buy a grill, Hank’s your guy. As a father, Hank holds his son Bobby up to the same high standards he measures himself against. He believes that with hard work, Bobby is capable of anything he puts his mind to. (Though Bobby would probably rather spend his time watching TV or playing video games.) Hank loves his son Bobby but has a hard time relating to his son’s extroverted, spotlight-loving persona. Bobby longs for a life of leisure and luxury (so much so that he gives himself gout from eating too many chopped liver sandwiches from the Show Biz Deli), and Hank just doesn’t understand or respect that kind of complacency. Hank is tactful and careful with his words, though, and even though he can’t help but be critical when Bobby doesn’t measure up to his standards, he is never mean or cruel. He is even-tempered and tries to motivate through positive reinforcement and the belief that excellence is its own reward. He’s a devoted husband and father but can sometimes be frustrating to his family due to his slow and deliberate decision-making, strict adherence to rules, extreme caution, and over-analytical nature. Other famous C Style TV Dads: Mitchell Pritchett, Modern Family. Ben Wyatt, Parks and Recreation. Andy Taylor, The Andy Griffith Show. Mike Brady, The Brady Bunch.